Postgraduate courses and training in nanotechnology and nanomedicine for professionals working in industry, research, healthcare, business and commercialisation, and regulation. 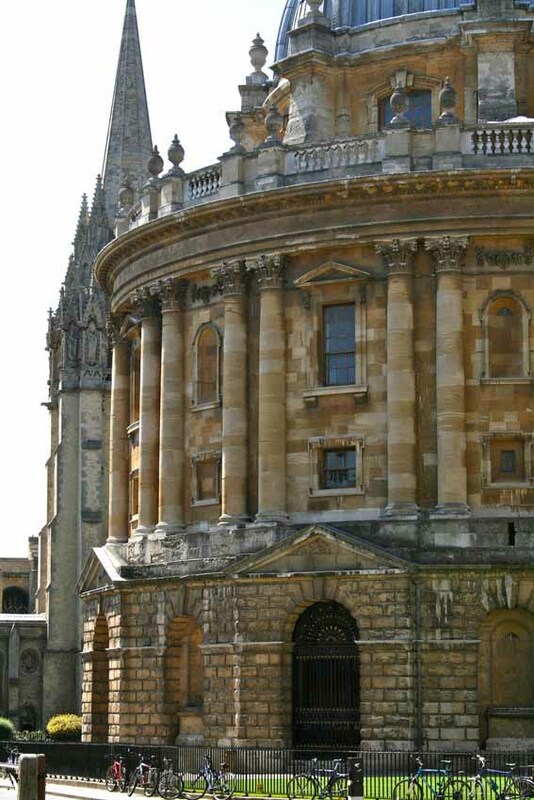 Topics include the fundamental science and wider context of nanotechnology, and nanoscale materials characterisation (all online), an introduction to bionanotechnology, the science and applications of nanomedicine, and the clinical translation and commercialisation of nanomedicine. "The Postgraduate Certificate in Nanotechnology most certainly helped me make a start in the field and I was even invited to write an article for the Royal Society... incorporating aspects of nanotechnology for drug delivery applications. I would not have been able to make such a contribution to the field without the training received in the course!" 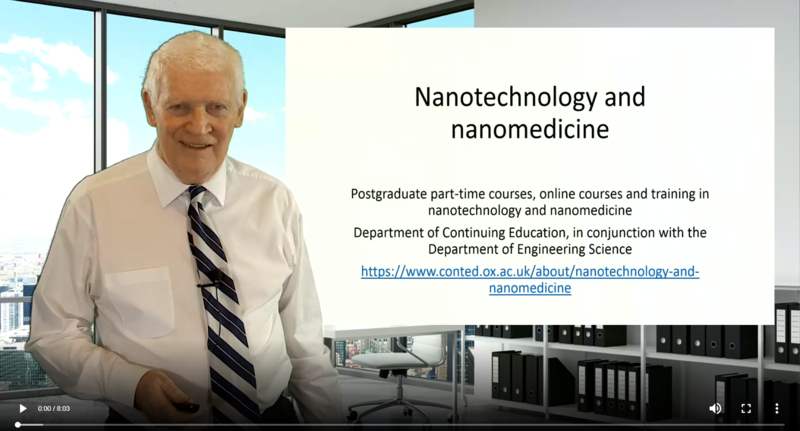 Watch Peter Dobson, Emeritus Professor at the Department of Engineering Science, talk more about the Department's nanotechnology and nanomedicine programmes. This five-day course provides an overview of the regulatory, financial, clinical and commercial challenges faced by those wishing to bring innovative nanotechnologies to market. This five-day course introduces physical scientists, engineers and non-scientists to biological systems and terminology relevant to nanotechnology, and showcases current applications and new developments in bionanotechnology. A seven-week online course introducing the current state of technology and addressing implications for safety, regulation and innovation. 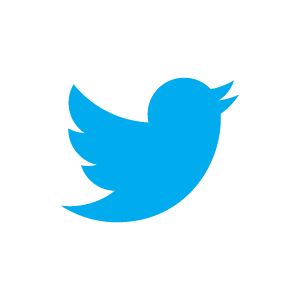 It is for professionals worldwide seeking an overview of this important subject. A ten-week course taken entirely online. It explains the mathematical foundations for nanoscale phenomena, as well as their effects and applications including quantum dots, nanotubes and fullerenes.